Skye Gravestones | Grace (Sedgley) Hancock. 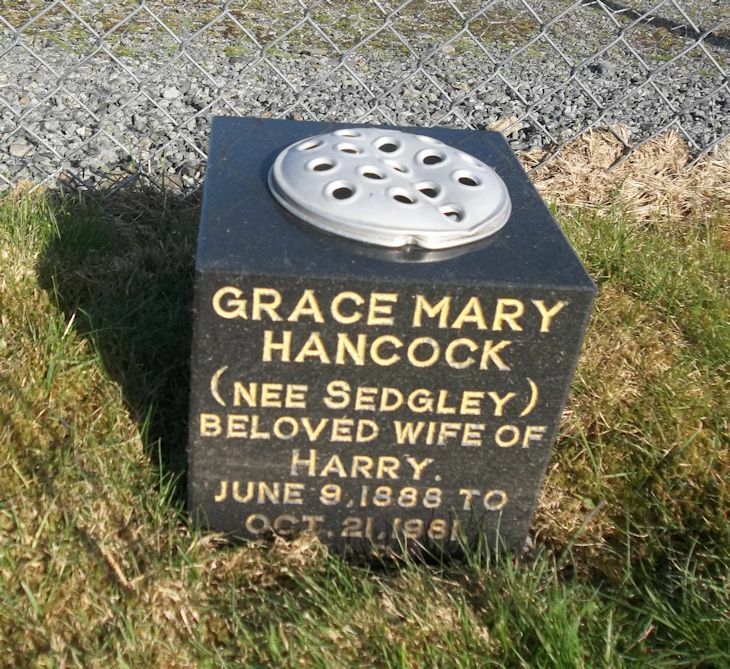 GRACE MARY/HANCOCK/nee SEDGLEY/beloved wife of/HARRY/June 9 1888 to/Oct. 21 1981.